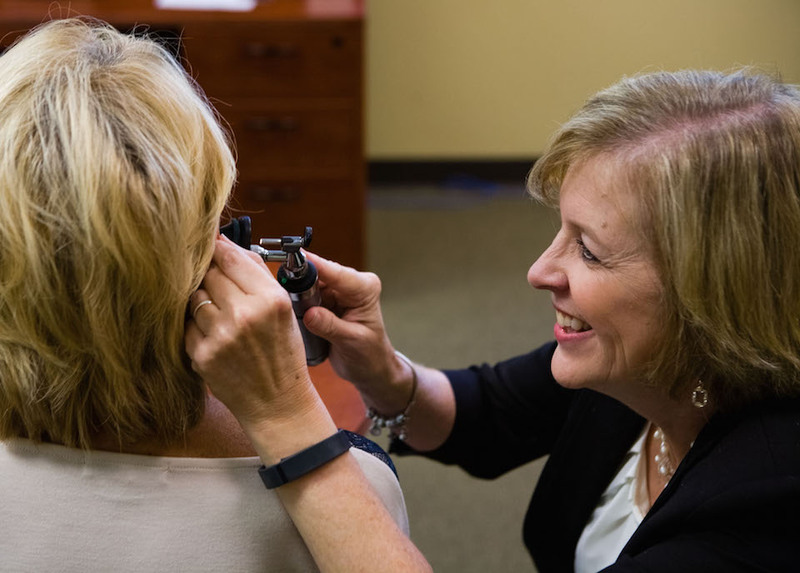 We are committed to providing compassionate and personalized service to every patient who affords us the opportunity to evaluate their hearing needs. Here’s some feedback from a few of our patients regarding the service we’ve provided and the solutions we’ve recommended for them. "My work world is chaotic; a high-speed roller coaster all day, everyday! Conversations on the noisy press room floor; an average of 22 meetings per week, in person and teleconferences; hundreds and hundreds of conversations in person and by phone. I get a little crazy in the back of my mind when my hearing aid situation is in flux. I'm so very thankful for the blessing of having both sets adjusted to their best possible performance, and I am especially thankful for the blessing you all are to my life!" -Rob D.
“I just wanted to share with you how happy I am with my hearing aids. I am enjoying all kinds of things I had thought were not possible anymore, such as music, television programs, and being able to talk and understand in places with lots of background noise.” -Macye J. “Music has always been a key part of my life. Due to a rapid decline in my hearing over the past year or two, my hearing aids no longer worked well for me. I struggled to hear my beloved music and adorable grandchildren. Words are inadequate to describe the difference Brentwood Hearing Center, and my new hearing aids, have made in my life.” -Suzanne R.
“I worked in an automobile assembly plant for twenty-five years. I began to lose my hearing and was attending evening classes to learn sign language interpreting. My goal was to work in a school system as a language interpreter. I want to especially thank Brentwood Hearing Center for their professional knowledge and helping me achieve my goal." -Mike K.
“An important part of my work as a businessman is to visit with clients over lunch meetings, after-hours receptions and settings where there is significant background noise. After being at a noisy restaurant for lunch one day, and being unable to understand my clients, I consulted with Anne Boling regarding my hearing. She performed a hearing evaluation and suggested I try hearing aids to help with my high frequency hearing loss. She then encouraged me to patronize the same restaurant and let her know if my ability to hear in that setting had improved. Needless to say, I’ve been wearing hearing aids ever since that day! Thank you, Anne, for your professional, diagnosis of my hearing need, and for recommending a solution that has helped me in my career." -Ronnie B. “Brentwood Hearing Center has taken great care of my daughter’s hearing aids for several years. So, when I needed another hearing aid for myself, I scheduled an appointment with Tania Williams. Dr. Williams assessed my hearing situation, talked with me about my concerns and made sure I fully understood the features of the hearing aids she suggested for my hearing loss. Tania Williams and her staff are extremely knowledgeable about the latest hearing aids and accessories – particularly the hands free device that enables me to talk on my mobile telephone, listen to music and even hear the television much better. A great many thanks to Brentwood Hearing Center for a job well done and a very satisfied customer." -Charles B.